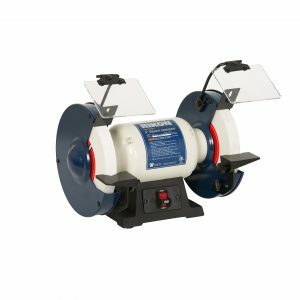 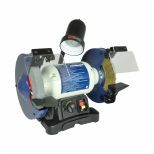 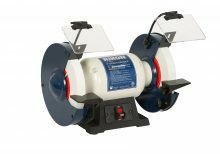 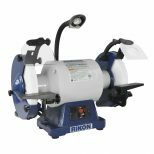 1 HP Low Speed Bench Grinder #80-808 is a larger size motor and will tackle the tough grinding jobs that are typical in production shops, as well as the finesse shaping and sharpening of hand tools. 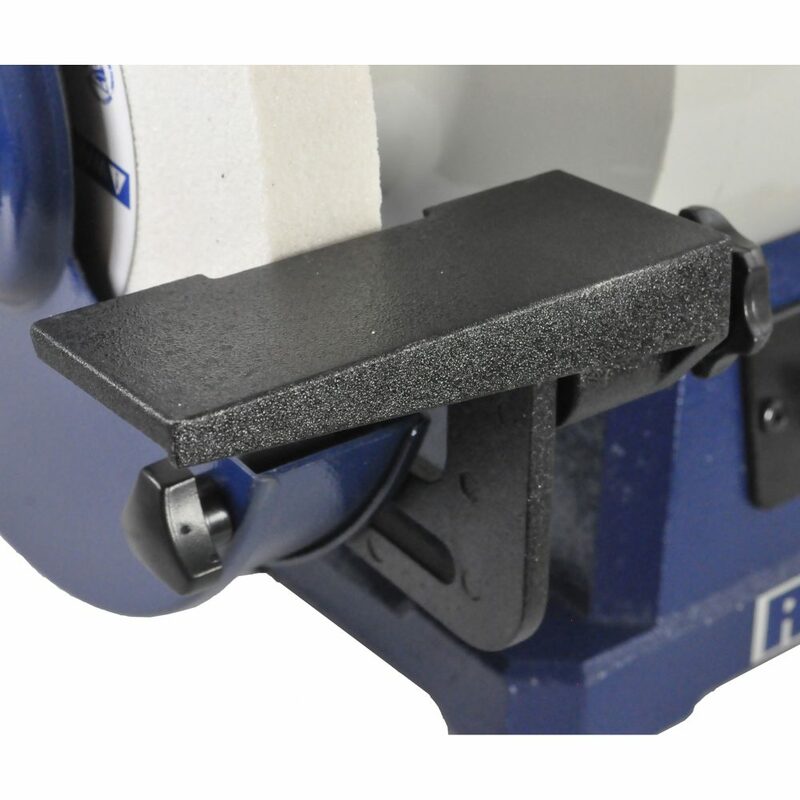 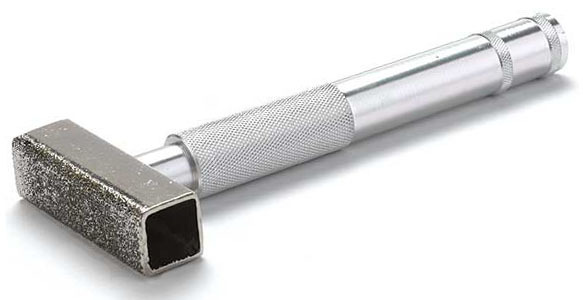 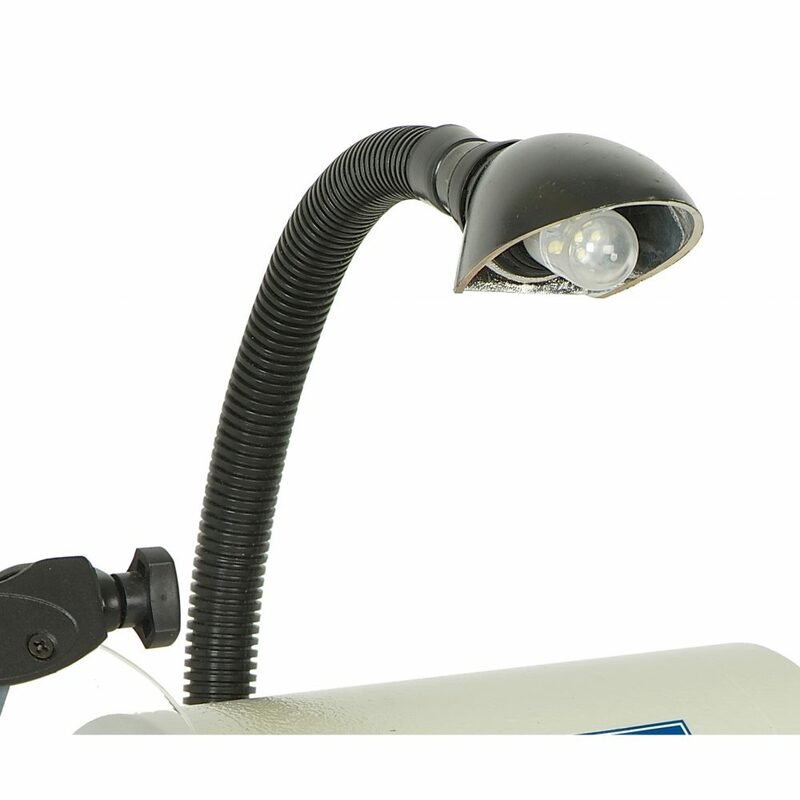 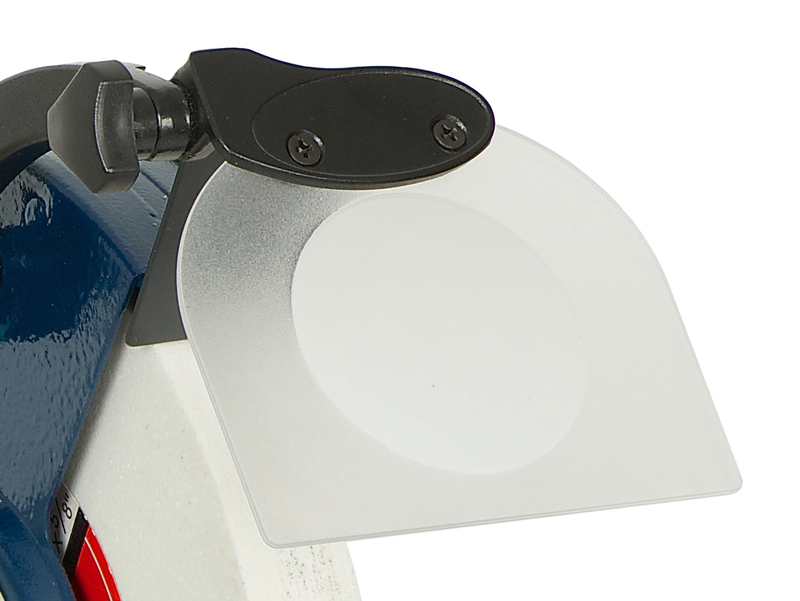 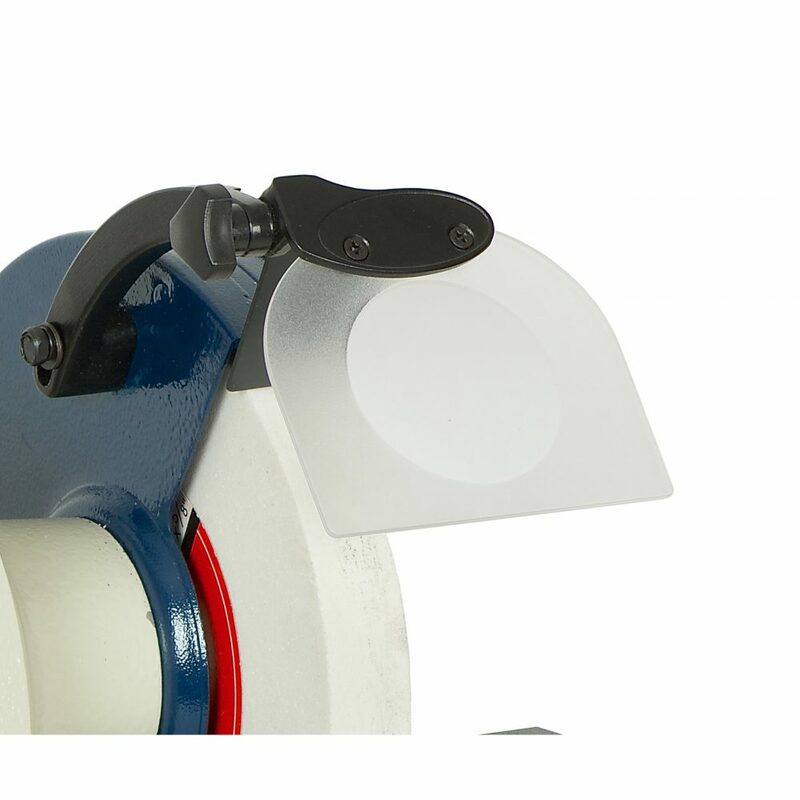 Tool rests on this machine are extra-large and flat, without a drill bit sharpening groove. 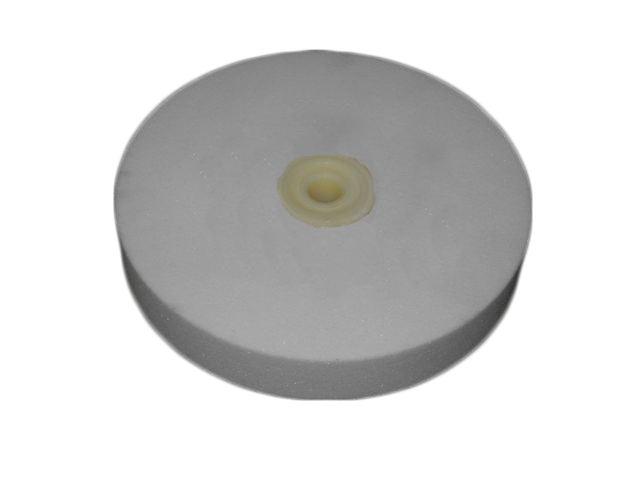 Wheel flanges are cast metal. 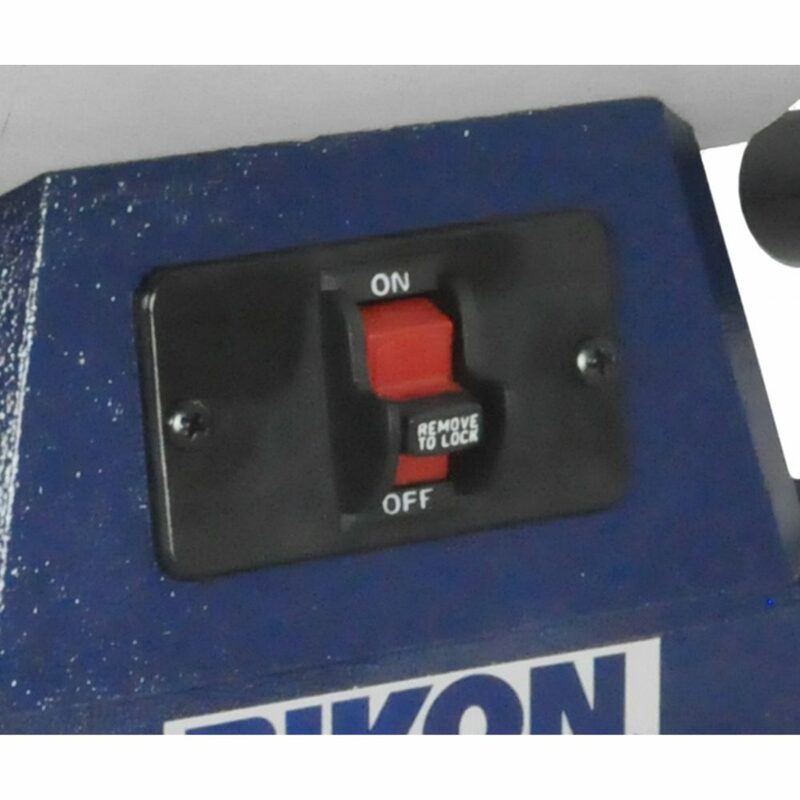 Grinder includes dual dust collection ports on the rear of the wheel guards.